MORNING MANNA : Nov 19 - WE CAN BE READY…! Nov 19 - WE CAN BE READY…! “In a moment, in the twinkling of an eye, at the last trump: for the trumpet shall sound, and the dead shall be raised incorruptible, and we shall be changed” (I Cor 15:52). “The Lord’s coming from heaven to mid-sky, the opening of the tombs, the dead saints rising from the tombs to join the Lord, and the living saints having their vile bodies changed into glorious bodies and meeting the Lord in mid-air – all these events will take place in a moment or in a split second. 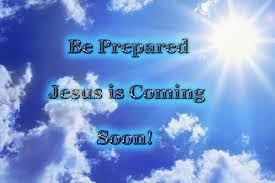 How can we always be ready for that imminent and most glorious event? Can we always live in a state of readiness? Yes. Look at the encouraging text in Isaiah 27:3 “”I the Lord do keep it; I will water it every moment: lest any hurt it, I will keep it night and day.”" This is a promise given to the saints of God or the Church of God (vs 2). The Lord has promised to keep us day and night and water us every moment. Watering us every moment shows pouring His blessings, His anointing and His grace on us every moment (including the very moment He comes). Dear child of God, never think that it is because of your cleverness or holiness that you will go at the Coming of the Lord. By the mercies of God, we will meet Jesus when He comes.